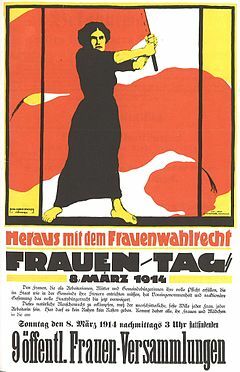 The earliest Women's Day observance was held on February 28, 1909, in New York and organized by the Socialist Party of America. A Women's Day demonstration on March 8, 1917 in Petrograd sparked the Russian Revolution. Declared a national holiday in the Soviet Russia in 1917, it was predominantly celebrated by the socialist movement and communist countries until it was adopted in 1977 by the United Nations. The official UN theme for this year's IWD is "Women in the Changing World of Work: Planet 50-50 by 2030". This is akin to the Gender Equality and let us all celebrate Gender Equality and work towards it. Gender Equality is one of United Nations Educational, Scientific and Cultural Organization's global priorities, together with Africa. Within this framework, UNESCO seeks to promote women’s empowerment and to mainstream gender in all UNESCO policies, strategies and programs. UNESCO’s believes that the Free and Open Source Software (FOSS) model provides interesting tools and processes with which women and men can create, exchange, share and exploit software and knowledge efficiently and effectively. FOSS can play an important role as a practical instrument for development as its free and open aspirations make it a natural component of development efforts in the context of the Millennium Development Goals (MDGs). The Community “Gender equality in free and Open Source Software” aims at creating a network of different institutions, networks and actors that deal with the Gender Gap in FOSS.